Doug has a great solar resource on his property, with a large southwest-facing shop roof and little shading. The lack of significant shading and the ability to group the modules together in strings of 8+ allowed us to use a combination of the standard Itek Energy 300-watt modules with a Fronius Primo 10.0 string inverter. I was unable to access the roof itself during the site visit, so I took what measurements I could from the ground of the foot print of the building. I then found a vantage point to scan the roof for any vents and obstacles, and verified my measurements using satellite images back in the office. 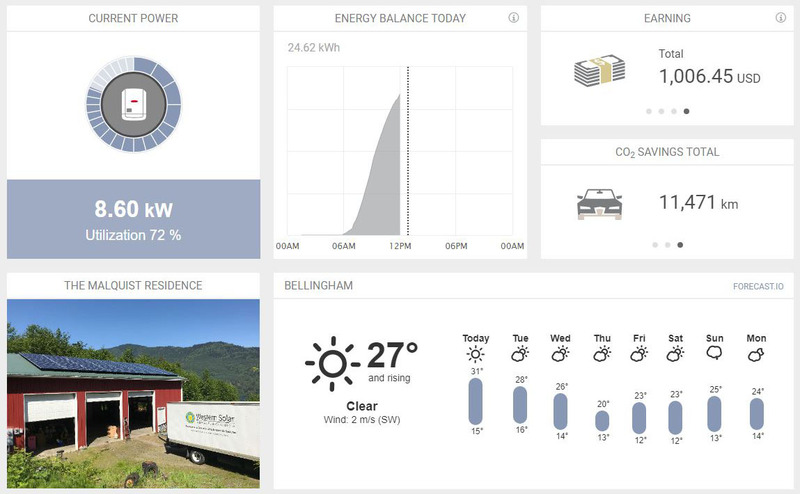 Due to Doug’s high usage, the maximum system size for residential solar (12kW) was not large enough to offset all of his electricity bill. I designed and modeled a 25 cash flow analysis for a 12kW residential and a 22.8kW commercial scale solar system to compare the respective costs and savings. After having a conversation about the merits of a residential over a commercial scale system, we agreed that the higher incentives available for the 12kW system would be of more financial benefit to Doug, offering him a quicker payback on his investment. Once the system was installed, Doug had concerns about how how much energy his system was producing and if he was on track for the payback he was projected. We set up the Fronius Monitoring App on Doug’s phone which shows his system’s production in real time – with this he could see he was generating power exactly as expected and was on track for his 6 year payback. This installation came out fantastically – I had the privilege of being onsite with our installers for the day they installed Doug’s project, and it was a joy to see them work. 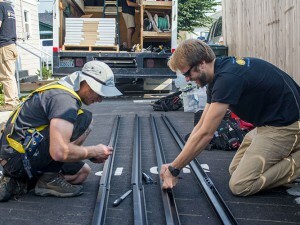 Their attention to detail in aligning and “truing” all of Doug’s modules meant the finished installation looks perfect. Not only that, but they managed to complete the entire installation in one day, delivering the highest quality of service with the minimum inconvenience to the customer. Before you considered installing solar, had you taken any other steps to lower your electric consumption? Yes. In the 10 years after building this house, we tried to institute a “turning off lights when done” policy with the kids and ourselves, but you know how that goes. It was about 75% successful. We converted the rather large house over to LED a few years ago when it became cost effective, put outside lighting on motion, and we burn as much wood as possible to lower the use of the heat pump and propane back up. After that, that our backs were against the wall with average $225/month power bills. What motivated you to consider solar? We have a rather large shop built 10 years ago facing south with this in mind, however only in the last few years has a reasonable payback become a reality for us. 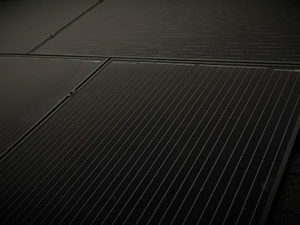 We think its mostly due to the reduction of panel cost and efficiency increase. However, our research over the years has been VERY limited. It was probably more of a “we need to really look at this” moment. Have you gotten any feedback from friends, family, or neighbors about your system? Are you kidding?? Absolutely. It’s the first thing they notice. Everyone wants to know all about it! I think after I explain my narrative about what it costs, and what it actually costs after tax credits and WA state incentive rebates, you can really see the wheels turning, and they are thinking, “Will this work for me?” Some say smart move. How did the whole process go? Were there any surprises during the course of the project? To be honest, the beginning was confusing trying to get over the skepticism hurdle and trying to find the catch. Once we understood the financial layout and payback with incentives involved we realized it was silly not to. It was kind of embarrassing it took so long to click. After that, it was so turnkey we were just a witness to watching this thing happen. 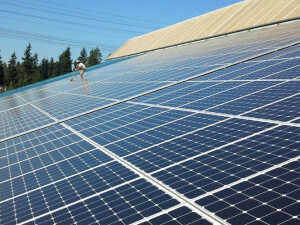 Western Solar took care of the permits, city and county whatevers, Puget Sound Energy stuff and made it a no-brainer. The contract was all DocuSign, and to this day, we haven’t even been to your office. Sorry about that, been meaning to drop in. 🙂 We expected the loan to be a grind, having been through so many over the years. The loan company you recommended was competitive and used to doing these loans. It was so automatic and fast, that again it was really just the time it took to E-sign. 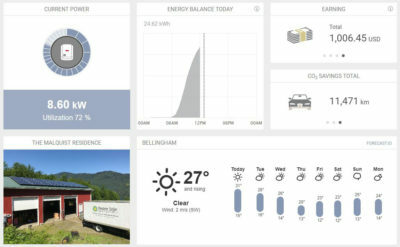 Another fun surprise is being able to watch the solar production real time on the app with history, efficiency, and all the info of the inverter is wireless feed. Best toy ever. You guys were like a good band. Cheyl in the office overseeing it all, Callum on the sales and design (explaining it and laying it out), Dana on the scheduling and tech, setting up the inverter and the installers and electricians. We were also surprised with the installation. You guys showed up in the morning and it was done in the afternoon like a well oiled machine. Everyone was pleasant at every step. No power bill was a good surprise this month. I cleaned my panels today for the first time it took an hour. Just know Puget Sound Energy took a good fat 10 days to order and install the meter and it’s an extra $80 for that. We were alerted way in advance by Western Solar so it wasn’t really a surprise, just irritating as we were impatient as it was getting to the peak of the year. 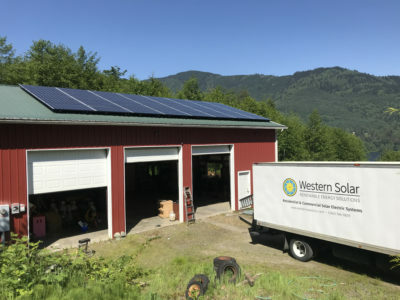 Why did you chose Western Solar as your contractor? Good question. I suppose reputation and quality. We had 10 years to think about it. 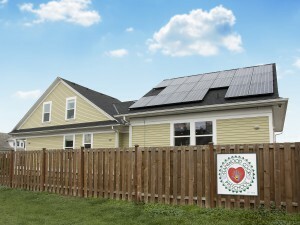 What advice would you give to anyone considering solar for their home or business? Each situation is different. The only advice given would be, if you are building, orient your roof accordingly. If you are considering solar and have southern exposure, have Callum come out and put his little machine on the roof. That will tell you what you will get through the year and what limitations you have (trees, etc.) and that allows him to give you the production and payback numbers. Study your own analysis carefully. I figured it was free and what do I have to lose. Callum said his numbers are conservative. So far it’s exceeded his estimates.